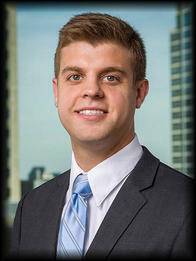 Jared is responsible for business development and relationship management for mid-sized companies in the Charlotte area. He has worked closely with successful entrepreneurs during his six year career as a banker which allows him to share industry insight and knowledge of current business events that impact his clients. Jared works as part of a Business Banking Group that is focused on boosting financial productivity for businesses and nonprofit organizations, their owners, and their employees through lending, cash management, and payment services solutions. After completing his undergraduate degree in finance, Jared went on to earn his MBA from West Virginia University. He lives in Charlotte with his wife and enjoys traveling, grilling, and golfing. He is an active member of Sharon United Methodist Church and spends time volunteering with local organizations throughout the greater Charlotte area.